Most common places in the body where advanced NSCLC may spread. What is advanced non–small cell lung cancer (NSCLC)? Lung cancer is cancer that starts in the lungs. It starts as pre-cancerous or abnormal cells in the lung. 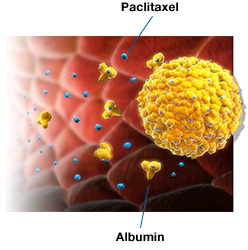 Over time, abnormal cells in the lungs grow out of control and form a tumor (TOO-mer). A tumor is an abnormal mass of tissue. NSCLC is the most common type of lung cancer. About 85% of lung cancers are NSCLC. 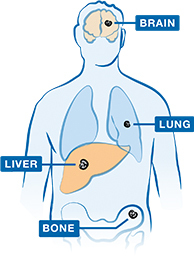 In people with NSCLC, the cancer may spread from the lungs to other parts of the body. This is called advanced NSCLC. This type of cancer is also known as metastatic (met-tuh-STA-tik) or stage 4 lung cancer. How many people have advanced non–small cell lung cancer? 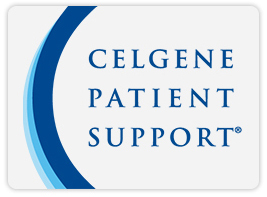 If you have advanced non–small cell lung cancer (NSCLC), you are not alone. About 190,000 people in the United States are diagnosed with NSCLC each year. Nearly 80% are diagnosed after the cancer has spread from the lungs to other parts of the body or becomes advanced NSCLC. Are some people more at risk for lung cancer? There are certain factors that affect a person’s chance of getting lung cancer. It is important to know that having 1 or more risk factors does not mean that you will definitely get lung cancer. And some people may get this type of cancer even if they don’t have any risk factors. Lung cancer is more common in older adults than younger people. About 2 out of 3 people diagnosed with lung cancer are 65 years of age or older. The average age of diagnosis is 70 years old. Men are more likely than women to get lung cancer. African American men are more likely to get lung cancer than white men. But African American women are less likely to get lung cancer than white women. If you have had lung cancer before, you are more likely to have it again. You also have a higher risk for getting lung cancer if you have a close blood relative who has had it. In addition to a person’s age, gender, race, and family history—all things that can’t be changed—there are risk factors for lung cancer that are considered lifestyle factors. This means that they can be controlled to some degree. Smoking is the biggest risk factor for lung cancer. About 80% of lung cancer cases are thought to be caused by smoking. Cigar, pipe, and secondhand smoke also put you at greater risk for lung cancer. Being exposed to certain chemicals on a regular basis—like at work—puts you at greater risk for getting lung cancer. These include asbestos, radon, diesel exhaust, and arsenic in drinking water. Air pollution may raise the risk of lung cancer, especially in cities. If you have had radiation therapy to the chest to treat another cancer, you may be at a higher risk for lung cancer. The risk becomes even greater if you also smoke. I am a caregiver. Where can I find support? Your role as a caregiver of a person with advanced cancer is one of the most important roles you will fill in your life. It is rewarding to support your loved one through his or her experience. It is also likely to be challenging. While you put your energy and efforts into caring for your loved one, who cares for you? Asking for help is critical in your role as caregiver. You may have friends or family members who are available to help you with the physical and emotional demands of caregiving. They may just be waiting for you to ask. There are also support groups that you can reach out to for answers to questions, to form connections with others, and to help you feel less alone. Learn more about resources and support for caregivers. ABRAXANE is a prescription medicine used to treat advanced non–small cell lung cancer (NSCLC), in combination with carboplatin (KAR-boh-pla-tin), in people who cannot be treated with surgery or radiation. ABRAXANE is a chemotherapy (KEE-moh-THAYR-uh-pee). Chemotherapy is a type of medicine that is used to keep cancer cells from growing or to kill cancer cells. Treatment with ABRAXANE plus carboplatin may help control or slow the spread of cancer cells. Your doctor may recommend treatment with ABRAXANE + carboplatin based on your stage of cancer, your response to prior therapy, and your overall health. Only your doctor can help you decide if ABRAXANE + carboplatin is right for you. 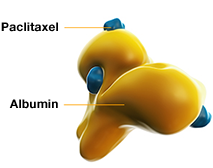 paclitaxel, is bound to albumin. Your treatment with ABRAXANE will be given in your doctor’s office, at a hospital, or at an infusion center. Each infusion of ABRAXANE takes 30 minutes. The time it takes to get carboplatin can vary. Tests, checkups, or waiting time may affect the length of treatment sessions. What should I know about advanced non-small cell lung cancer?